Leapin’ Lizards! 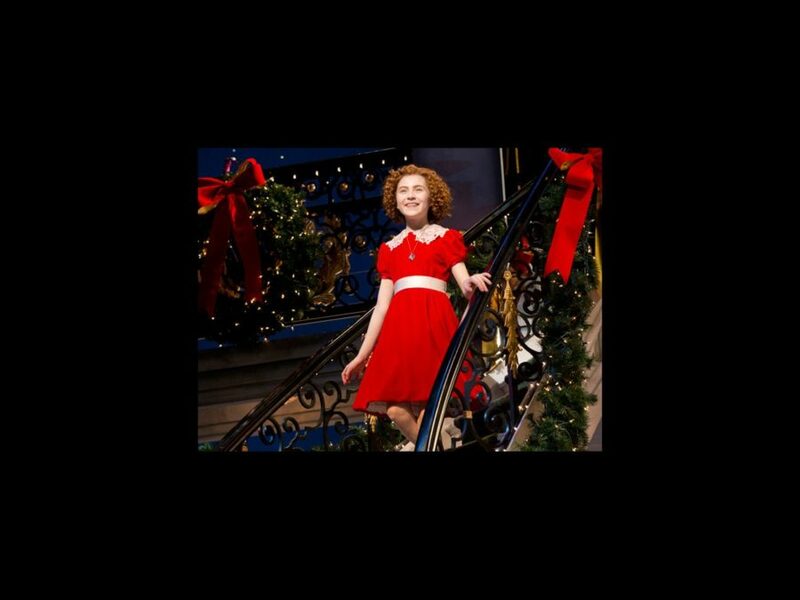 Tony-Nominated Annie Revival Will Tour U.S.
Everyone’s favorite redhead is going to see many more cities than just “N.Y.C.” The Broadway.com Audience Choice Award-winning (and Tony-nominated) revival of Annie is launching a national tour during the 2014-2015 season. The current revival opened at Broadway’s Palace Theatre on November 8, 2012 and stars Lilla Crawford as Annie, Jane Lynch as Miss Hannigan, Anthony Warlow as Daddy Warbucks, Brynn O’Malley as Grace Farrell, Clarke Thorell as Rooster Hannigan, J. Elaine Marcos as Lily St. Regis and Sunny the dog as Sandy. The original production opened on Broadway on April 21, 1977 and ran for 2,377 performances. Can’t wait for “Tomorrow?” Get a look at Annie with scenes from the revival below.